Metallographic Diamond Saws, cross sectioning, failure analysis. In a swing arm type of saw, the blade is mounted on a heavy swinging arm and moves vertically under gravity down through the material. 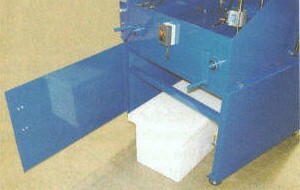 The material remains stationary while being cut. You easily adjust the cutting speed by setting a needle valve that controls the flow of fluid from a hydraulic cylinder that supports the arm. A glass "sight gauge" enables you to judge this rate of flow. 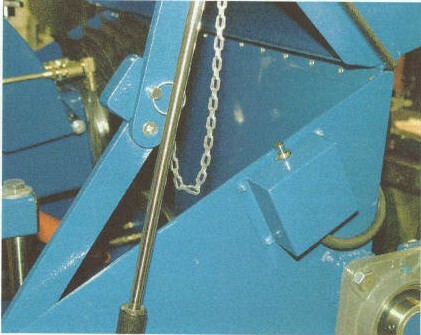 The arm is raised for the next cut by an electric pump that forces the hydraulic fluid back into the cylinder. Apart from this smooth, simple feed system that does not need the usual sliding (or rolling) carriage, this type of saw has the advantage of using only one-half to two-thirds as much floor space, as they are shorter in the front to rear dimension. It's straight forward design allows the operator to concentrate on sectioning samples, not operating the machine. 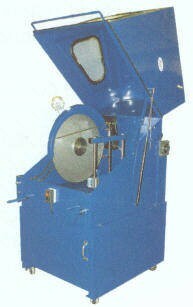 Made in U.S.A.
Automatic feed, variable speed option, x, y, x tables. special fixtures, vices clamps, & holding mechanisms are available to accommodate your specific material application. Comes with one FREE Slabing Diamond Wafering Blade (Sintered) Metal Bond with 7mm height of diamond. Electric pump to raise the arm rather than a hand pump. Sight gauge for easy control of cutting speed. Single belt drive sealed inside the swing arm. Table cross feed uses miter gears so handle can be mounted in front to save your knuckles. Table lifts out of saw tank leaving nothing in your way when cleaning the tank. Your material is clamped to a tale having a generous amount of travel in both front and rear and left to right directions. Adjustable lamp puts light where you need it. Saw tank sits on a cabinet type stand that houses the 15 gallon coolant recirculating system. 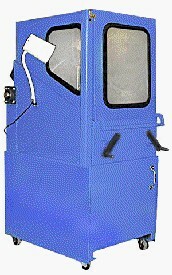 Tank and cabinet are heavy gauge steel plate with a durable powder coat finish. Motor: 3/4 HP 110V/220V 60 HZ ( A 220V 50 HZ is available). Sample working area 12" x 13.5". 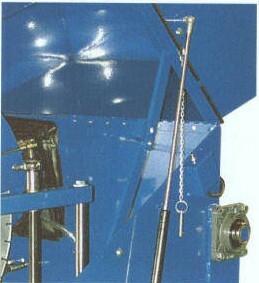 With a cross feed of approximately 9"
Save Money - Manufacturers Direct Price. Saws can be redesigned to better fit your needs. SMART CUT™ Precision Diamond Sectioning have been successfully implemented and proven in hundreds of advanced materials and applications. SMART CUT™ Precision Manual and Semi-Automatic Saws provide Advanced Material Laboratories and Manufacturing Facilities consistent performance as fully automatic saws, at small fraction of the cost. With ever increasing budget cuts, many facilities find the use of Precision Sawing/Sectioning Equipment and Consumables cost prohibitive. 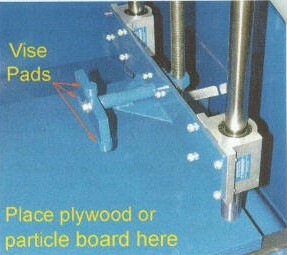 Fully automatic Precision Sawing machines usually cost several thousand and even tens thousands of dollars. 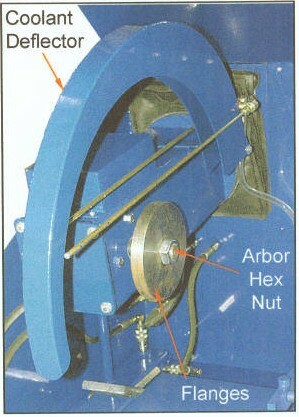 Yet, most advanced material facilities very rarely require the functionality of high cost, automatic sectioning saws. SMART CUT™ series of Precision Diamond Saws have been designed to provide the material researcher or engineer the same capabilities they would expect from high cost automatic sectioning saws, at literally small fraction of the price. Start Saving Money Today! We recognize that the Diamond Wafering / Sectioning Blade by itself is perhaps the most important factor in your sectioning / precision diamond sawing operation. 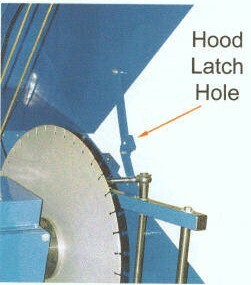 The diamonds impregnated inside the bond matrix of the wafering blade, are what actually participate in cutting action. No matter how precision or well made your wafering saw. You will not be able to obtain the material surface finish, and precision tolerances you need, if the blade you are using is not right for your application. UKAM Industrial Superhard Tools proprietary blade chemistry, precision manufacturing methods, modern quality control methods, allow us to control and regulate the dozens of variables that affect blade life, quality of cut, surface finish. Reducing and often eliminating additional steps often required after sectioning. All blades are manufactured and available from inventory to fit your specific material, application, and surface finish requirements. We will work with you to determine your needs, and develop the right bond formulation, concentration, and grit sizes. 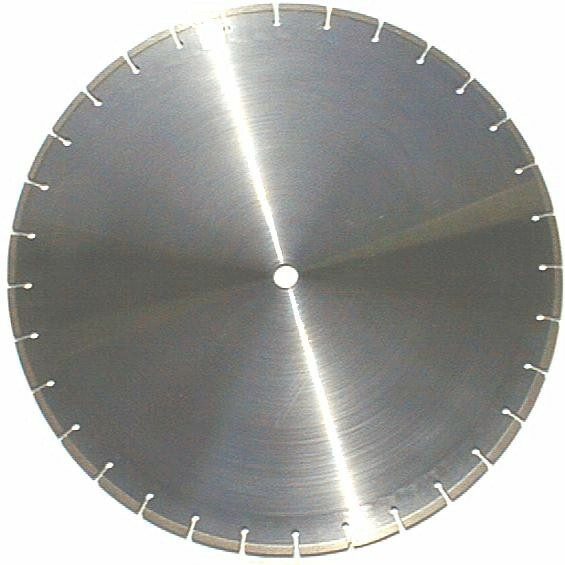 UKAM Industrial Superhard Tools is one of the Leading Diamond Wafering Blade Manufacturers, with one of the Largest Inventory of Precision Diamond Wafering Blades in the U.S. Over 4,000 diamond wafering blades in stock, available in different sizes, thickness, arbor sizes, diamond concentrations, diamond mesh sizes, and bond hardness's. not using these blades, you are paying too much. What you will save on the cost of consumables and Diamond Wafering Blades will more than pay for the saw in short period of time.